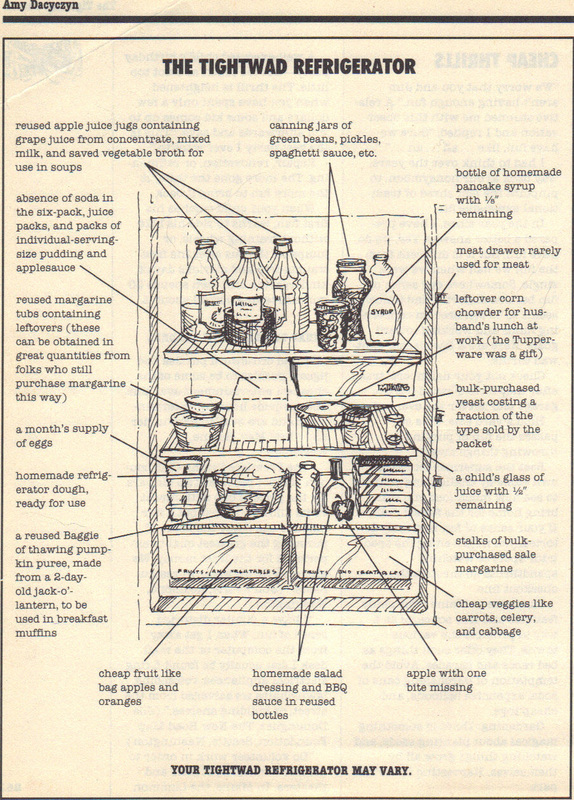 Is The Inside of Your Refrigerator Frugal Like Amy Dacyczyn’s (of The Tightwad Gazette)? 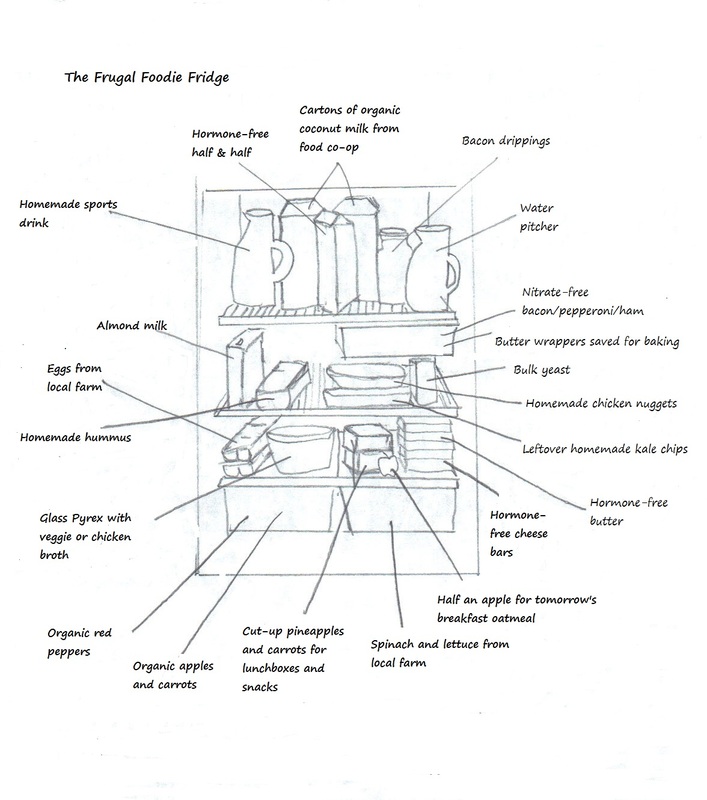 We love Amy Dacyczyn’s Tightwad Refrigerator, on page 262 of her first book, The Tightwad Gazette. 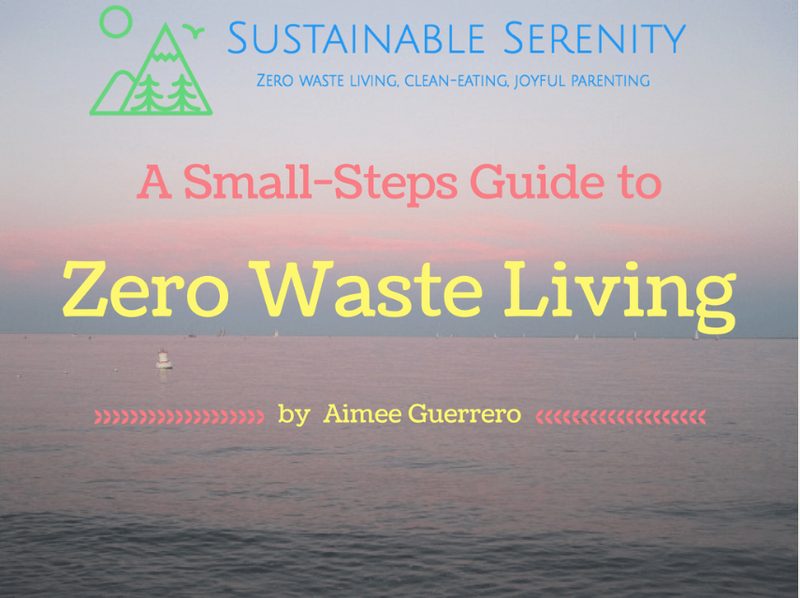 TFF has decided to share a sampling of the rotating contents of our Frugal Refrigerators. Another time, we will share what’s in our Frugal Freezers! 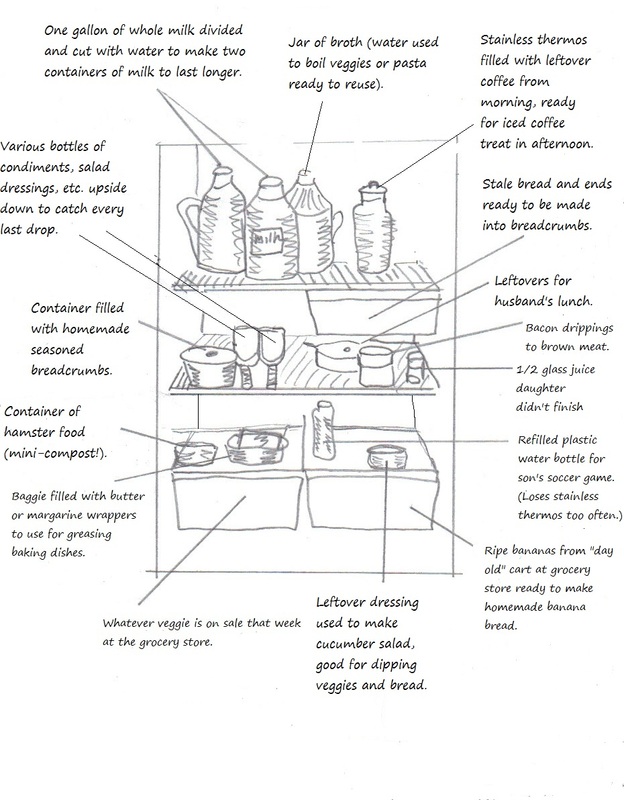 Please share with us what’s in your frugal fridge!! I keep my bread ends in the freezer. When I have accumulated enough, I whirl in the food processor to make bread crumbs. I pour the crumbs into a plastic bread bag and again, store it in the freezer. When it comes time to use the crumbs for a recipe, I take out what I need, season them and whatever is left over……guess what? It goes back in the freezer inside a separate plastic storage bag, labled. Since I basically only use the bread crumbs for chicken cutlets (which I cook in the oven, not fried) it’s OK to re-use the seasoned bread crumbs, so long as the crumbs are stored in the freezer. I season my crumbs with salt & pepper, parsley, garlic powder, a touch of paprika. Sometimes I’ll toss in cumin or oregano. It depends on what flavor I need to go with the rest of the meal.